How many Jiu-Jitsu practitioners can you find that began training in the art of BJJ and has literally lived on the mats as a toddler that doesn’t have the last name Gracie? Give up? I’m not sure either, but my guess is not that many. Well I have found one. This individual has been training in the gentle art since he was 5 years old. He has beaten some of the brightest stars in the history of the sport like Marcio Feitosa, Terere’ and Marcelo Garcia. [social][/social][einset][/einset]He was winning gold medals at the Mundials when he was a teenager and has medaled in more world championship competitions then any other competitor in the history of the sport – 11 times. Oh, and he is an accomplished MMA fighter having beat a UFC veteran. He is just as talented with his teaching as he is with his ability to fight having been sought out by some of the biggest names in the MMA world to assist in sharpening their jiu-jitsu skills like Alan Belcher and Urijah Faber and for teaching seminars all over the world. I’m talking about 3rd degree Royler Gracie black belt and leader of Relson Gracie Jacksonville Daniel Moraes. Moraes has an unbelievable competition record and list of accolades at every level of grappling that has put him in the upper echelon of all Brazilian Jiu-jitsu fighters. He won gold in the Mundials as a blue belt (1999), purple belt (2000), and black belt (2003 and 2004). 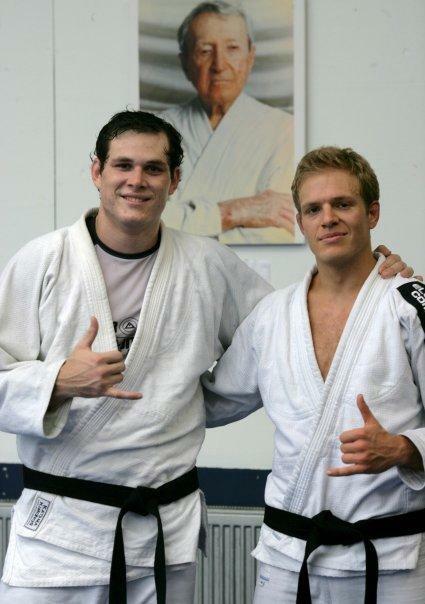 Daniel has accomplished or exceeded the same at the Pan-Ams, Brasiliaro’s, and other major BJJ tournaments. Moraes has been able to put himself on the grappling pedestal with his brilliant performances at the 2003 and 2007 ADCC trials. Because Daniel has been on the competition circuit since he was a teenager and because he is primarily focused on his academy and his students at this point in his career he can sometimes be overlooked as a competitor. Don’t forget that he still qualifies to compete in the adult division and has medaled in the last two no-gi Mundials. Again, do not forget. He is a man on a mission. His goal is to produce fighters that meet or exceed what he has been able to accomplish. Daniel’s academy in Jacksonville, Florida, which is managed by his brown belt Ryan Brinkman, has become one of the fastest growing BJJ academies in the southern part of the US. He is not done with competing either. You will find Moraes at some big tournaments in 2011 and don’t be surprised if you seem him in the cage again in the near future. Daniel, who possesses some of the best wrestling skills and take downs in the grappling world, counts Royler Gracie, Relson Gracie, Marcelo Clemente, and Darrel Gholar as instructors that have been instrumental in his development as a fighter and teacher. He has come a long way as a teacher as he has mastered articulating jiu-jitsu that will work for practitioners of every style and body type. This natural guard passer has a knowledge base that includes a mix of old school BJJ with the new cutting edge techniques of the new school. It can be difficult to find someone that has an accomplished athletic career that has world class coaching skills and can develop even the most novice of practitioners or athletes. Generally you find great athletes or competitors that are still developing their teaching and coaching skills or great coaches who didn’t have the most stellar of athletic or competitive careers. Daniel Moraes is the exception. He is one of the best kept secrets in Brazilian Jiu-Jitsu. Moraes loves sharing the art of Brazilian Jiu-jitsu. For information on his academy, seminars, and private instruction he can be reached at www.graciejacksonville.com, www.danielmoraesbjj.com, or on Facebook. I was there when he filmed this message and was able to help donate and move over 6 tons of food and supplies to the flood victims!!! !